The "coolest man in Cricket"
The legendary larrikin of Aussie sport, Doug Walters is admired not only for his great batting and bowling, but for the sense of humour he brought to a very serious sport. 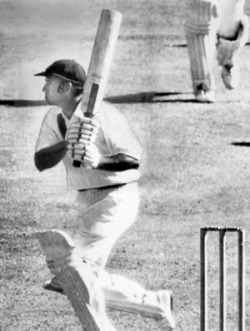 Whether riding a bike from third man at the change of over, or being the last to leave the bar after making a hundred only to go out the next day and make 250, or belting Bob Willis for 6 on the last ball of the day to reach a century, Doug Walters typifies what it is to be an Aussie. He has even been described by Dennis Lillee as the coolest man in Cricket! The man that made the game of test cricket look easy, with graceful and quick footwork Dougie made it look effortless as he dispatched fast and slow bowlers to all parts of the ground. A love of 'the punt', a few beers and a packet or two of cig's (not anymore! 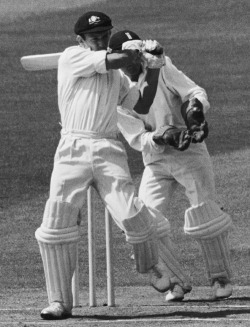 ), Dougie became one of the most identifiable and loved cricketing heroes in Australia throughout the 70's. A true gentleman on and off the field, there has never been a bad word said about Dougie, let alone he himself utter anything of a negative nature. Doug is full of stories and keeps his audiences giggling about everything from stories of cricketing folklore to the trip to the function!